If you have extra cash in your savings account, it might be time to put that money to work. 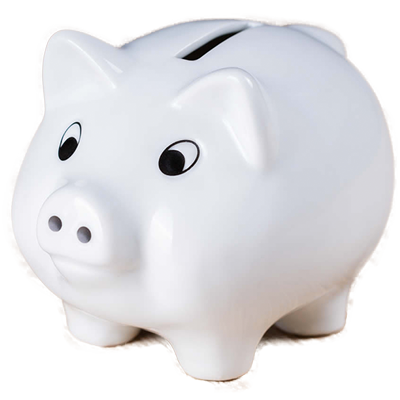 Some of the nation’s biggest banks offer an interest rate of only 0.01% on your saved up cash. To put that into perspective, that means you earn $10 per year if you have $100,000 in savings. Um… what?! That’s not a very good investment if you ask us. According to a 2017 GOBankingRates survey, 25% of of Americans have over $10,000 in their savings account. That’s cash just sitting there… doing nothing. While younger individuals should focus on paying off high-interest debt and saving up for retirement, what about those who are nearing retirement? You might be wondering, "What should I do with extra savings?" If you’re gearing up for your 50s, 60s, and beyond, it’s time to look into a few fail-proof ways to make your hard-earned money grow and prosper. That certainly is a mouthful! Single premium means that you can buy the entire life insurance policy up front with a lump sum. You write one check for the contract. Now, this policy will continue to grow as soon as you put that lump sum into it. The death benefit will grow, but so will the cash value. So, a high cash value single premium whole life policy is purchased with a single lump sum, it offers a guaranteed death benefit for as long as you live, and it continues to grow in value over time. This can be confusing, so here’s a real life example. Lynette was 81 years old, with over $100,000 just sitting in her checking account. She knew that it wasn't earning interest in that account, but she really didn't know what else to do with the money. She asked Luke Hockaday for advice. Luke asked her what she hoped to do with the money, and she indicated that she would like to pass this on to her children. So, Luke quoted her a "high cash value single premium whole life" policy. Buying this policy with $100,000 would give Lynette a guaranteed death benefit of $126,000. In this case, the original deposit continues will grow, along with the death benefit. If Lynette does need the money, she can draw from the cash side. If she does not need to access the money, it will pass on to her children, tax-free. In sum: you should choose a high cash value single premium whole life policy if your priority is a guaranteed death benefit for your loved ones, and you have a large sum of money just sitting around. The added perk is that you can still draw out some of the money if you need it. A Multi-Year Guaranteed Annuity, MYGA, is a safe way to invest your money. It protects your money from stock market corrections and crashes, but it still earns interest. MYGAs most commonly have contracts of 1, 3, 5, 7, or 10 years, with 5 years being the most popular with seniors. Most 5-years contracts offer an interest rate around 4% right now, which allows you to preserve and grow your money with zero risk. You can start up a MYGA with as little as $10,000. Most of our clients start up a MYGA with $40,000-$50,000. *This is the best 5-year rate available as of February 2019. However, typical rates are consistently a little better than 3%, so take advantage of the high rates while you can! A lot of folks are concerned that with a 5-year contract, they won’t be able to touch that money for the entire 5 years. However, you can add on a 10% free withdrawal, which means you can have access to 10% of that money. It usually costs 0.1% or so to add this feature, so instead of making 4% on your money, you might make 3.90%. Wondering what to do with extra cash? A MYGA is a real showstopper. In sum: if you want to predictably grow your savings without any risk or volatility of the stock market, a MYGA is for you. The added perks are that you have the option to take money out of it, and you can pass on the money to your beneficiaries (and avoid probate) if you pass. 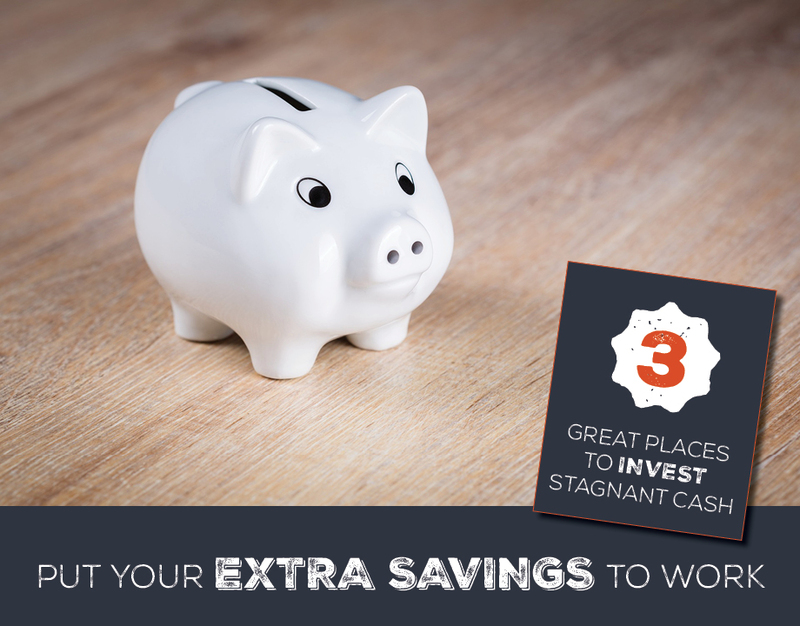 Concluding our list of 3 smart places to put extra savings is a fixed annuity with an indexing option. If you want to participate in the highs of the stock market without ever going under, a fixed annuity with an indexing option is the way to go (also called a FIA). The gains are capped, but you can never go under 0%. Let’s say the stock market goes up 9%. You might have a cap at 6%. So you still experience the gain, but it’s at a cap. Now, let’s say the stock market goes down 10% – and it just did in the end of January and beginning of February 2018. You go down 0%. That’s right – you lose nothing. A lot of people like this strategy, because you still have the fun of stock market gains (you can party with your friends when it’s up), but you can sleep tight at night knowing that your hard-earned cash isn’t going to go down the drain. These annuities have historically done a little better than MYGAs, but there’s still the chance that your initial investment could stay the same. Either way, at least the risk with a FIA could be worth the reward with none of the sulking later on! In sum: If you want to participate in the stock market gains, but you’re not so keen on the losses, a FIA is for you. The added perks are that you have the option to take money out of it, and you can pass on the money to your beneficiaries (and avoid probate) if you pass. Where You Shouldn’t Put Your Money – We Mean It! If you’re getting ready for retirement, it’s time to get serious about preserving your wealth. CD, or Certificate of Deposit, is a safe way to invest your money with your bank. Here’s a chart comparing the rate of return on CDs for popular Decatur, IL banks. The following percentages are for deposits with a 6-month term unless otherwise noted. The minimums and maximums vary by bank; however most banks have a minimum of at least $1,000. The earlier examples of fixed annuities show that interest rates are much better than this. To make these interest rates feel a little more familiar, here are some examples of how your money could grow. At Regions’ 0.05% return, your $25,000 deposit would earn you $12.50. Enough to go a movie perhaps. Even with Town and Country’s 0.35% return, your $25,000 deposit would still only earn you $87.50. Perhaps a stop at VonMaur for a new shirt? Now, a MYGA with a 4% return would earn you $1,000. Now we’re talkin’. Using our same set of banks in the previous example, let’s take a look at the rate of return for a regular savings account. As you can see, a savings account is no place to keep a large chunk of cash. If you had even $500,000 in savings at a 0.01% return, you’d make a whopping $50. With the 4% return you’d get with a MYGA, you’d be looking at $20,000. Need we say more? A Money Market Account, or MMA, is another way to earn interest on your money. They generally require a higher minimum balance, but the interest rates tend to be better than savings accounts (though not always). The way these accounts work is that the bank uses your money to make other investments or loans. As a way of thanking for you that money, they give you a bit of interest. Let’s take another look at money markets in the local Decatur, IL banks. These are accounts that fall into the range of $10,000. While Town and Country and PNC offer returns that are slightly better than their regular savings account, the other banks have almost no differentiation between their money market accounts and regular savings accounts. We’ll spare you the examples here – it’s obvious that a money market is a terrible place to keep your savings if you really want it to grow. Not sure what to do with extra cash you have in the bank (or under the mattress)? Let us help you compare your options to jumpstart your retirement. Ready to plan for retirement? Click here to get started. 4.80% First-Year Interest Rate on Multi-Year Guaranteed Annuities – if you’ve thought about investing in CDs or Money Markets, it might be time to put that money to work another way. Your willingness to help when we get a bill from the doctor or medical field person or medicare worker. 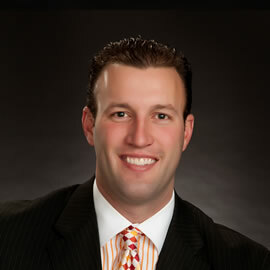 Michael became an agent with Sams/Hockaday in August of 2005 and has been helping seniors with health and life related products ever since. We don't just sell insurance - we're there to assist you with the claims process, which can be complicated and confusing. What's the Difference Between an HSA and a Medicare MSA? Copyright ©2019 Sams/Hockaday & Associates, Inc.